Four balanced 32-bit D/A converters are summed together to create each balanced analogue output. This 4:1 summation provides a 6 dB noise reduction, and gives the DAC3 industry-leading performance. Any practical audio system will need a volume control. These days, most audio devices use digital volume controls. These controls place significant demands on the quality of a D/A conversion. An internal D/A converter that starts with the equivalent of 14-bit performance, may only deliver 12-bit performance at typical volume-control settings. In contrast, the Benchmark DAC3 D/A converter uses a motor-driven 32-bit digital volume control driving a 32-bit D/A conversion stage. This combination delivers true high-resolution audio performance over a wide range of volume settings. •Digital inputs pass through a 32-bit digital volume control. •Analog inputs pass through a traditional analogue volume control. •Both share the same knob. This hybrid approach eliminates all unnecessary A/D and D/A conversion steps. Analog inputs see an entirely analogue path to the outputs. Likewise, digital inputs see an entirely digital path to the 32-bit D/A converter. The DAC3 includes the input selection, volume control, and output buffering functions of a traditional hi-fi "preamplifier". 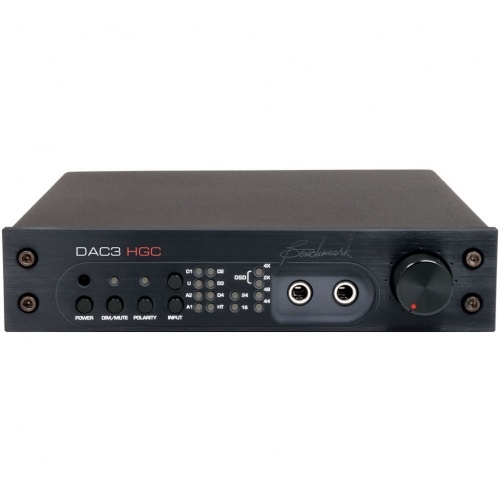 Like a traditional preamplifier, the DAC3 is specifically designed to drive power amplifiers, but the DAC3 carries this concept to perfection. 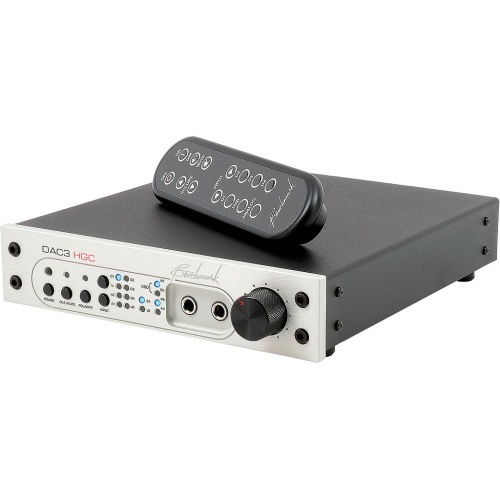 The high-current output stage of the DAC3 can be programmed to match the input sensitivity of your power amplifier. This unique feature optimizes the interface between the DAC and your power amplifier, giving you the highest-possible system performance. 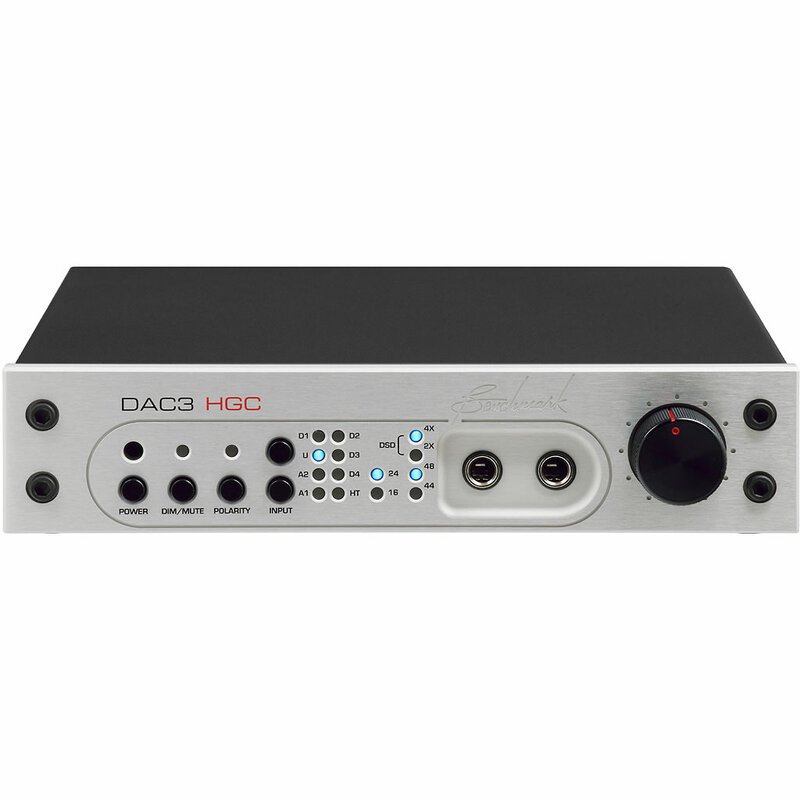 The DAC3 provides the cleanest, most direct path to your power amplifier. No additional "preamplifier" is required or recommended unless your system includes a turntable. 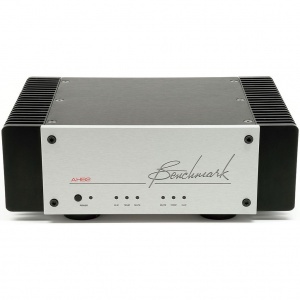 If so, your phono preamplifier should be connected to one pair of analogue line-level inputs. In any system, the most transparent performance will always be achieved when the DAC3 is connected directly to a power amplifier. Transparent sound can go beyond replicating the studio experience. Recordings that have been produced with a natural and unprocessed sound can transport you to the performance space. However, this can only happen when the entire playback chain is selected for maximum transparency. This experience of "being there" cannot be created by systems that are designed to add warmth or colour to the music. Really enjoying the DAC3. 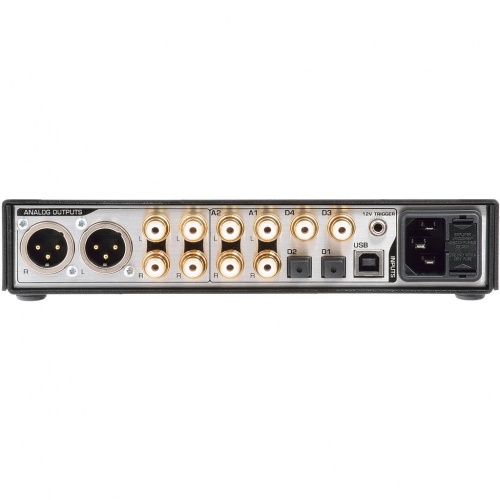 Sounds better with Benchmark XLR->Phono leads allowing passive attenuation of outputs. Sound seems to have improved (more musical) over first few weeks, maybe due to running in. Great service from Igloo.